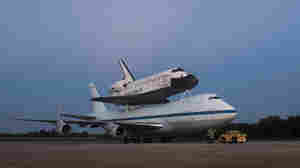 September 21, 2012  Carried atop a cargo jet, the shuttle is set to take off from Edwards Air Force Base at 8 a.m. PT. It will fly low over Sacramento, San Francisco and Monterey on its way to Los Angeles. 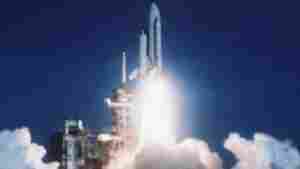 September 19, 2012  The third of the fleet of four to head off to a retirement home, the shuttle will end its journey in Los Angeles. Along the way it will stop in Houston. 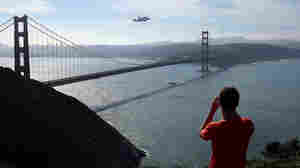 There will also be flybys, weather permitting, over San Francisco and Sacramento. April 12, 2011  They'll be going to California, Florida, New York and Virginia.